This magnificent church once housed a large Hope-Jones 4-manual, but that was destroyed in a disastrous fire that gutted the building in 2000. 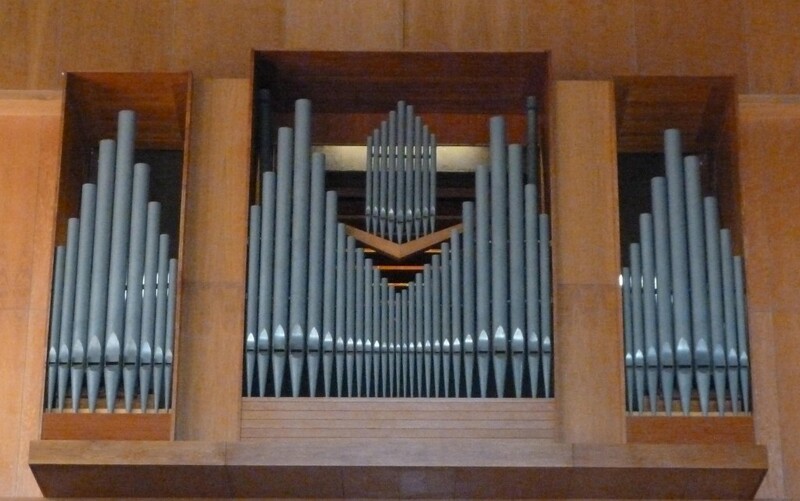 DWOB has put into the rebuilt church the 1969, 2-manual N P Mander Ltd organ once in St Paul’s School, Barnes. Fitted with a new action and some tonal amendments, the instrument now contains 28 speaking stops (38 ranks).